In TMNT 2012 who is your お気に入り character? Who would あなた want to be your brother? What kind of weapon did Venus have? How tall are the TMNTs? -Hamato Yoshi marries Tang Shen. -Shen gives birth to quadruplets: 4 sons. 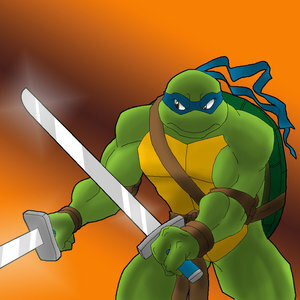 Named in order of birth: Leonardo, Raphael, Donatello, and Michelangelo. -Shortly after the birth of their sons, the dojo was attacked によって Oroku Saki (later Shredder) and a duel to the death resulted in the death of Shen and Saki knocked unconscious. Yoshi took his children and fled to New York. -In New York, Yoshi purchased four baby turtles and a rat. This is my review of the first Teenage Mutant Ninja Turtles show. It started in 1987. It's a really 人気 show. The first TMNT 表示する is about the 4 turtles (Leonardo, Raphael, Donatello, and Michelangelo) saving the world from evil. Shredder and Krang teamed up to take over the world so it's up to the turtles to stop them. Teenage Mutant Ninja Turtles Out of the Shadows is a 2016 action film. It's the sequel to the 2014 Turtles film. I was eager to watch this film, because it's the first turtles film to have Krang, but is this film good? It's up to the 4 turtles along with April and Casey to stop Krang from taking over the world. Well there's もっと見る going on than that. 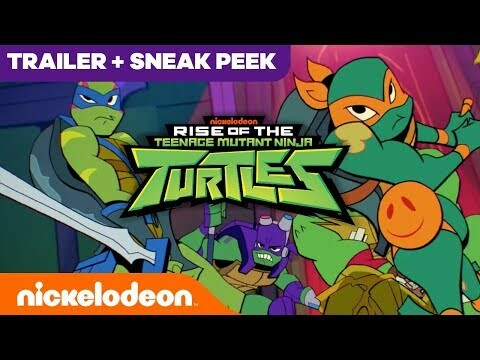 Some of the side plots include: the turtles not getting along with each other and Casey trying to prove he can be a quality detective. Plus there's Krang's helpers. My お気に入り thing in the Teenage Mutant Ninja Turtles franchise is the villains. The turtles have both threatening and silly villains to constantly deal with. This 一覧 is about the antagonists that I like the most. Shredder's Version: Teenage Mutant Ninja Turtles. ヒーローズ in a half shell. カメ power. They're the worlds' most annoying team. The ヒーローズ in a half shell and they're green. When the awesome Shredder attacks these カメ boys don't cut no slack. Spilinter taught them to annoy me. Leonardo is the leader, Donatello is the nerd, Raphael is the jerk, and Michelangelo is the goofball. ヒーローズ in the half shell. Vanilla Ice power. Afterlife with Archie is a comic book published によって Archie Comics beginning in 2013, depicting a zombie apocalypse which begins in the town of Riverdale. It is written によって Roberto Aguirre Sacasa,with art によって Francesco Francavilla. After a car driven によって Reggie kills Hot Dog, Jughead asks Sabrina to bring his beloved pet back to life. She does, but with terrible consequences: Hot Dog becomes a zombie, and kills Jughead, who himself rises as a zombie and spreads the contagion. Leo looked up in suprise as raph came into the lair followed によって a human girl. Teenage Mutant Ninja Turtles: Out of the Shadows is expected to take ホーム the weekend box office crown -- and it got off to a roaring start on that front yesterday. a reply was made to the forum post: TMNT RP anyone? an article 追加されました: My idea of the TMNT origins. Which カメ wears a blue mask?